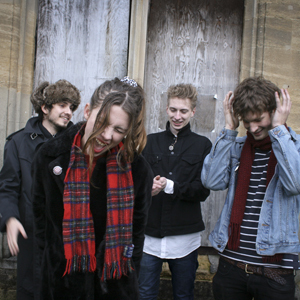 Having recently debuted on Huw Stephen’s In New Music We Trust on BBC Radio 1, North London’s Wolf Alice are set to release their debut single on 11th February 2013 via Chess Club Records in the form of ‘Fluffy’. Wolf Alice made a spectacular entrance with the insatiable ‘Leaving You’ – a download-only track that found its way onto Radio 1, top of NME’s lauded Radar section, peaking the Hype Machine charts and finding the band with a swell of new fans following a tour with Peace. 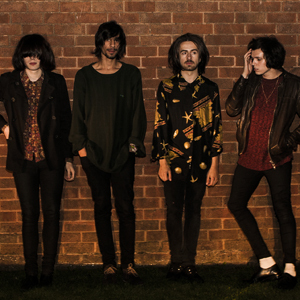 The four-piece release ‘Fluffy’ as another remarkable statement of intent certifying their burgeoning reputation as one of London’s hottest new acts. Far removed from their folk-beginnings, ‘Fluffy’ rocks with a ballsy and unabashed nonchalance, echoing the raucous live sets the band have quickly become reputed for. Breaking from a groove-laden smack of distorted guitars and thumping drums, Ellie Rowsell’s tender vocals then take centre stage as the hypnotic tale of seeking cheap thrills in the mire of small town boredom forces an unadulterated high. Birmingham based Wide Eyed are currently recording demos with future production superstar Dom Ganderton (Peace/Swim Deep), they embark on a series of live dates taking in the Sunflower Lounge. Catch them now and brag to your mates that you saw them first! Playing to a pop aesthetic through an amalgam of noise, indie-rock and hip-hop elements, Hoopla Blue exude their sound in violent yet dreamlike fashion. Inspired a little by Modest Mouse, David Attenborough, Nick Cave, Todd Solondz, My Bloody Valentine, Kurt Vonnegut, Kate Bush and a lot by the very peculiar cacophony of life on Earth. Hoopla Blue combine their unique songcraft with affecting soundscapes to bring something new to the Birmingham music scene, and already have support slots with Stealing Sheep and Temples under their belt.